Hey readers in celebration of the release of Guardians of the Galaxy on home entertainment ive decided to do a review of the original source for inspiration for the film. Guardians of the galaxy issue 20 is what we are going to be looking at. In a nutshell the past few issues have been Peter Quill telling Gamora what happened at the end of the cancerverse storyline. There are so many things wrong with this issue. Not only have we had to wait well over a year to find out what happened in the cancerverse with Nova, Starlord, Thanos and Drax the Destroyer. This issue had also been delayed so long that the crossover it was meant to coincide with “original sin” has passed and the new storyline “axis” has started. Lets start with the art. Ed McGuinness an amazing artist who specializes in over exaggerated guys and curvy ladies. Not only is he good at what he does but he has a distinct style which is instantly recognizable much in the same way how you might recognize a drawing from Jim Lee or Carlos Pacheco. Now Eds work is as i’ve said before amazing but this issue feels almost like he can’t be bothered which is very disappointing. The second artist in this issue is Valerio Schiti picking up some of the pages Ed cant do and this just adds to the frustration as although similar in style you can see the difference. Now on to the story. This whole story which readers have been waiting for is best described as an disconcerting anti climax. I dont know what Brian Michael Bendis was thinking when he wrote this story but i can definitely say that anybody who was a fan of Dan Abnett and Andy Lannings (known collectively as DnA) run on this version of the guardians may be saying some pretty harsh words in the Skrull language as to how things have turned out. Now i understand to make things more accessible for new readers and viewers to the marvel universe some changes have had to be made the most noticeable one being Nick Fury being made black in the 616 universe. With the introduction of the teen Nova that meant that Richard Rider the original human rocket was null void and unless they were looking to reignite the nova corps that would have meant too many bucketheads flying around. Ok fair enough to a certain degree its all about making money but in my personal opinion the way in which Nova was given a send off was a big disrespect to the way in which the character had evolved from a D list character into the soldier and leader of the nova corps and one of the saviours of the galaxy during the annihilation storyline. Highlights of the issue include the scenes on the ship in which they talk and argue amongst themselves, Thanos walking out of the big blow out defeating the cancerverse avengers which goes to remind you how dangerous this villain is in any universe. The money shot award in this issue goes to Drax picking up Thor of that universes hammer and clobbering Thanos with it although that fight does end a bit too soon. 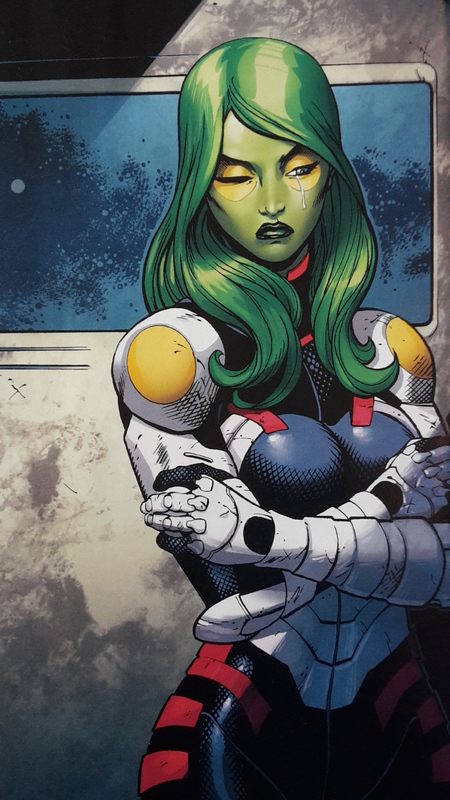 The one thing that did grind my gears was Gamoras tears at the end of the issue which seems to be a bit out of character and seems to be more in line with how she is portrayed in the film. I really don’t want to give away any spoilers into how it ends but i expected something more original from a writer like Bendis instead i was given an ending which was similar to the the episode of the animated cartoon Dungeons & Dragons called Child of the Stargazer. In what must seem like a scathing review of comic book which i claim to enjoy please believe me when i say that everything i have written is out of love (much like a tough parent). 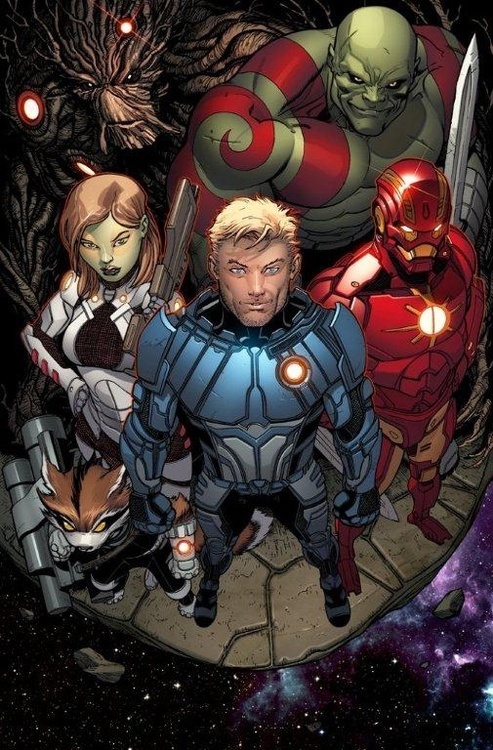 The guardians comic book much like its film counterpart is an original and interesting comic book that when done right proves that you don’t necessarily need a mutant with claws coming out of his hands or a mercenary with a costume that doesn’t not look like one that may or may not have belonged to a friendly neighbourhood web head. Throughout the final issue Nova talks like an 80s ill fated partner from a cop film whining about how he wanted kids etc. During some of his revelations about what he desires he is holding the cosmic cube (the marvel universe version of a wishing lamp). So could he be back on earth? After the last theory as to him being back on earth it doesn’t have to be this universes earth. With Secret Wars happening next year in which all universes are going to be converging could he end up in an alternate reality. 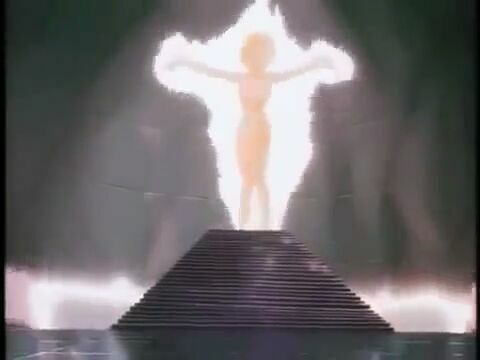 Richard Rider was connected to the whole nova force through the Xandar worldmind. 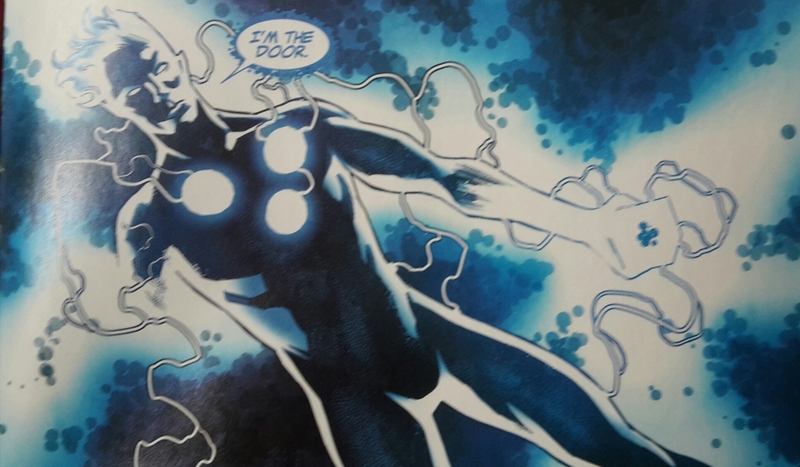 The nova force is back in the 616 universe could Rider somehow have been brought back with the nova force or even be the new worldmind? And so with this review i leave you as i have some articles for you guys to read, a little boy to look after and last but not least its comic book delivery day so i bid you adieu.